​ SAN ANTONIO – Google Fiber Texas LLC has built its fiber optic network in the Westover Hills neighborhood and near West End Park to the point where it is ready to be switched online once installed in homes. The company began construction on 4,000 miles of fiber optic cable in San Antonio in April 2016. 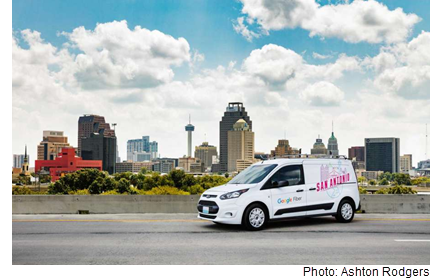 San Antonio is the 12th city in which Google Fiber has launched. Google Fiber sells gigabit, or 1,000 megabits per second, speed internet. By contrast, the average internet speed in the San Antonio metro area during 2014 was 18 megabits per second, according to the Brookings Institution. ​That’s slightly below the 23 Mbps seen in the Houston and DFW areas and well below the 48 Mbps reported in the Austin-Round Rock metro area.